Whether you have a brand new wood grain laminate floor, a more utilitarian sheet vinyl, or VCT, Summit Superior Floor Care has all of your floor care needs covered! Our professionally trained technicians can revitalize an old floor or protect a new one for the future. Our attention to detail and precision mean that your floors will have a clean, consistent look to them at whatever gloss level you desire! We can protect your sensitive equipment with static dissipative finishes or use polyurethane for a long term, low maintenance, high gloss finish! 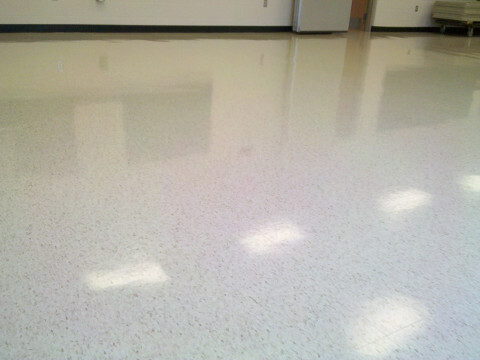 These same services are also available on stone as a cost effective alternative to high intensity polishing. Whatever your hard floor care needs are, Summit has you covered!